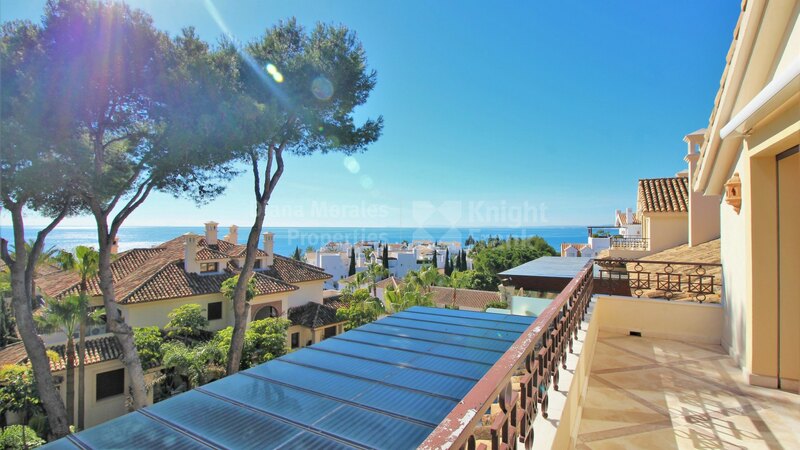 Please, send me more information about ref DM4427 in Los Monteros Playa, Marbella East or similar properties. 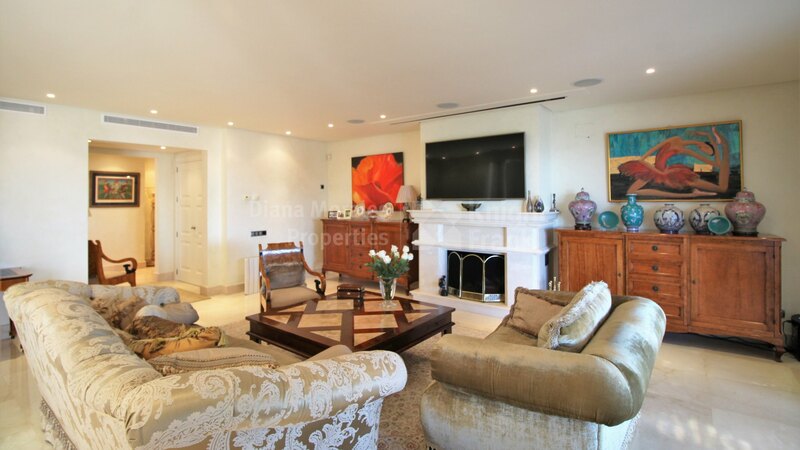 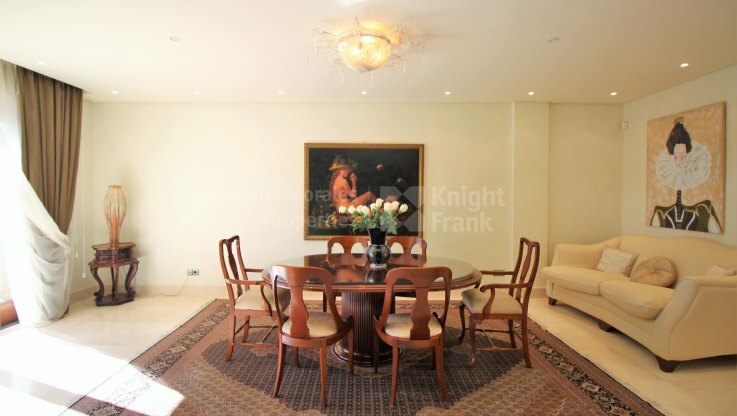 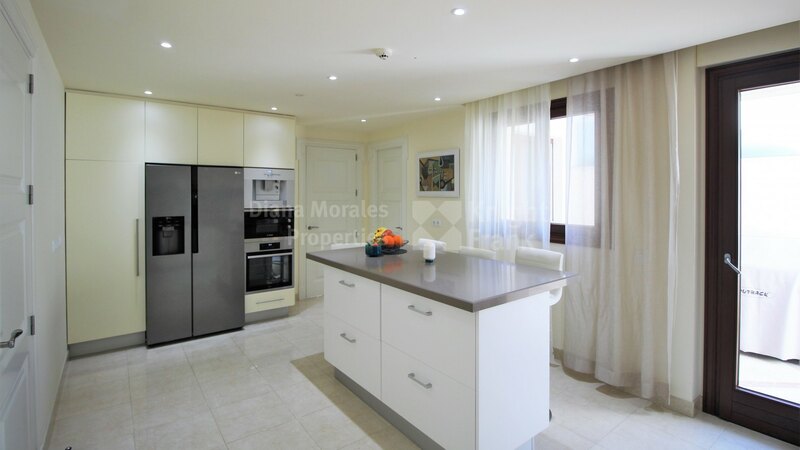 This impeccable duplex penthouse situated in a beachfront complex of Los Monteros Playa offers the ultimate in luxurious finishes and extraordinary features. Only the finest materials adorn the spacious dwelling, with its high ceilings and generous dimensions. 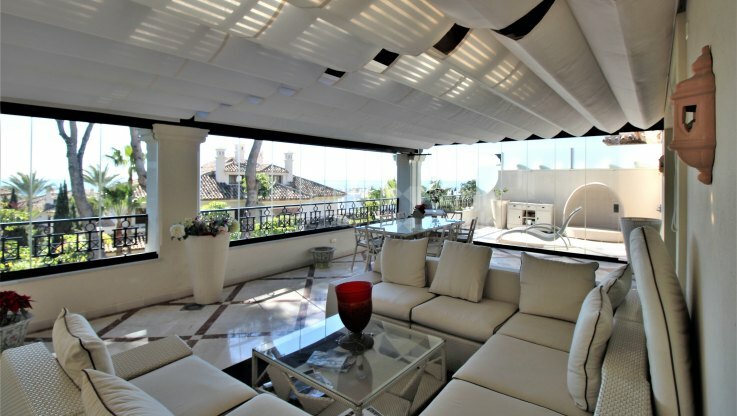 Including four bedrooms, the home enjoys beautiful sunlight, refreshing breezes and glorious sea and verdant views. 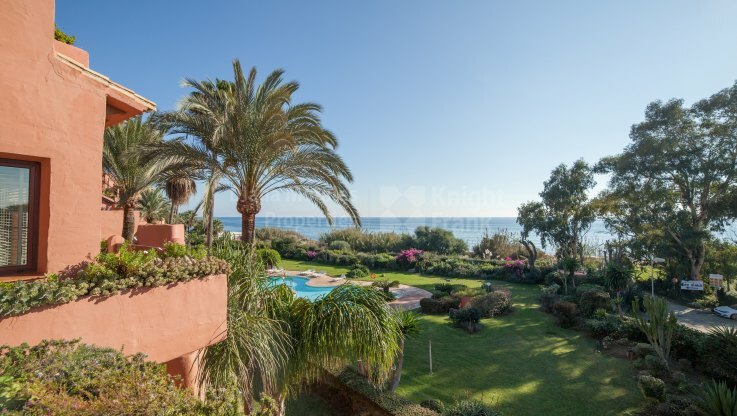 The residence is located in Los Monteros Playa, secure and gated development with attractive communal gardens and a swimming pool. 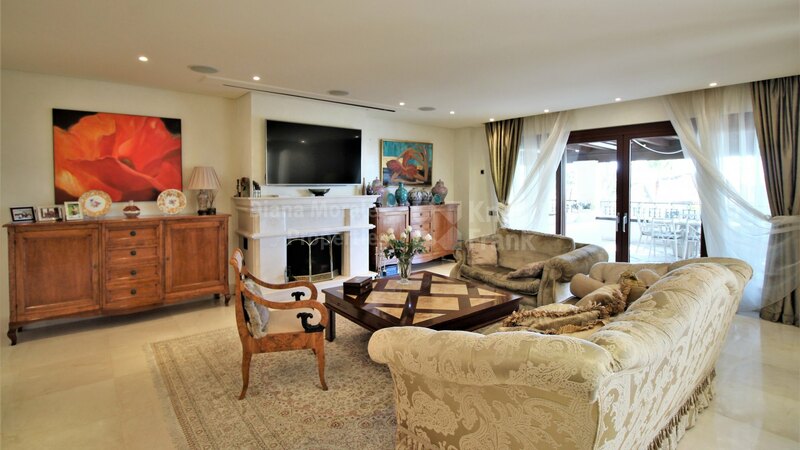 The lounge has two marble columns dividing the room into two spaces, the dining area and the living room. 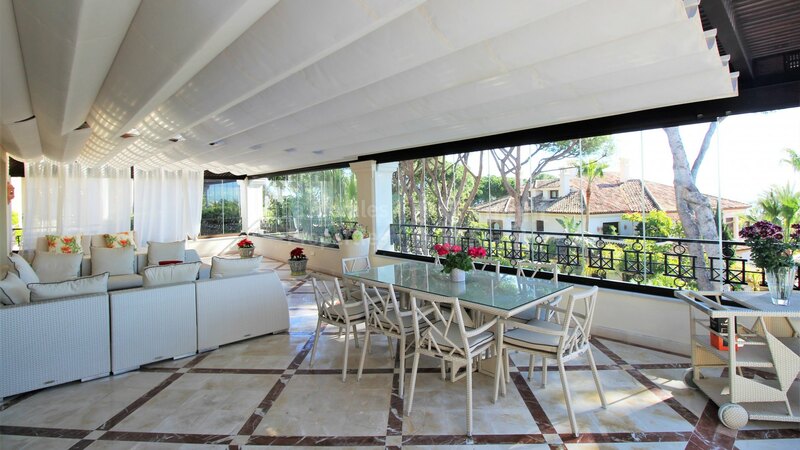 Off lounge terrace is enclosed with glass curtains which gives additional comfort in winter. Marble floors and a fireplace complement these areas, as do expansive windows featuring sea views. 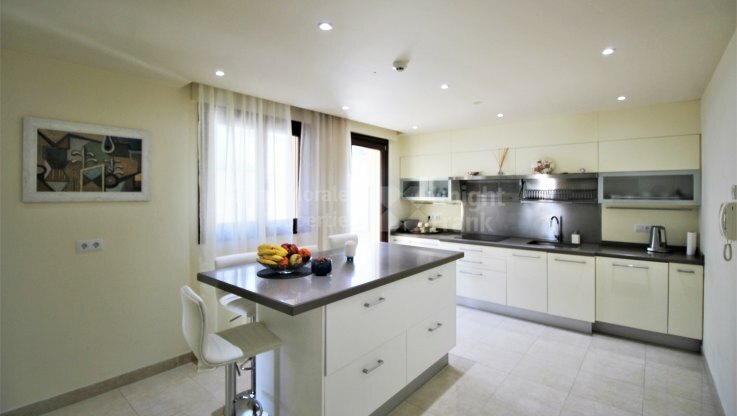 The eat-in kitchen has granite work tops, electric appliances, a separate laundry room and an open terrace. 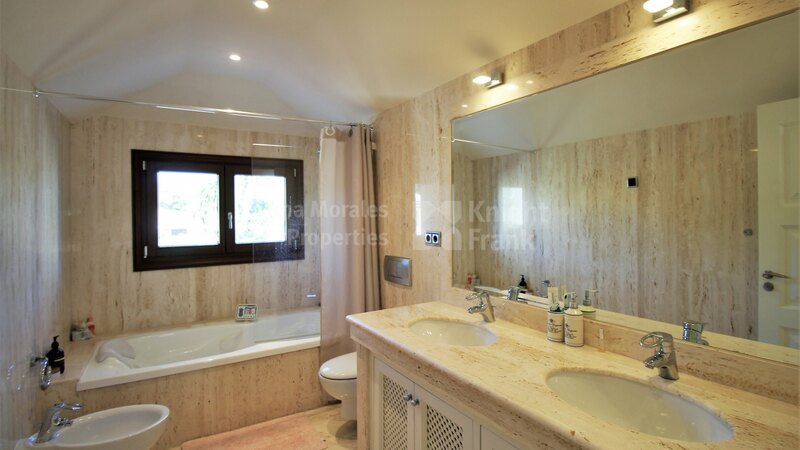 The master bedroom suite opens to the main terrace and includes dressing area and a bathroom with a Jacuzzi and a separate shower cubicle. 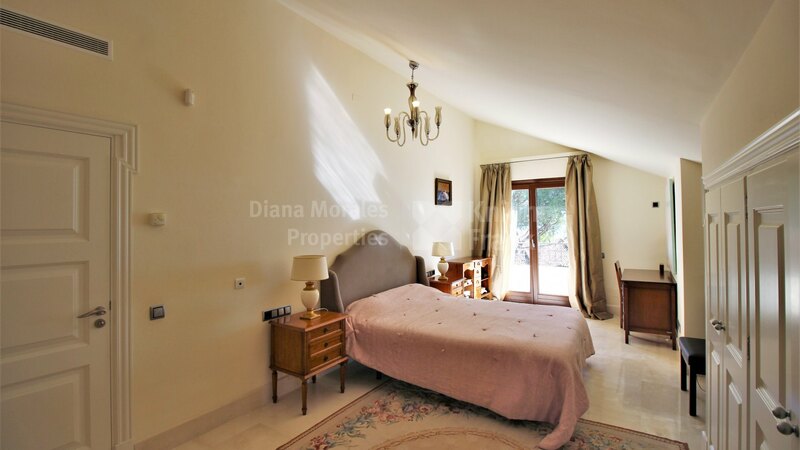 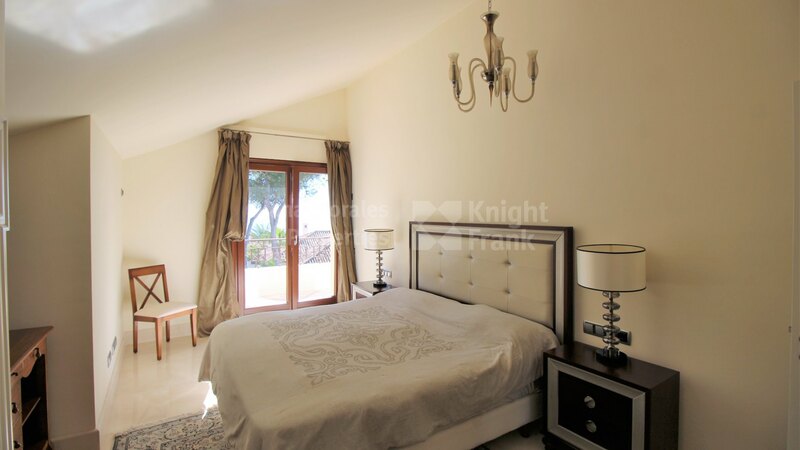 A bedroom with en-suite shower room and a private open terrace adjoins. 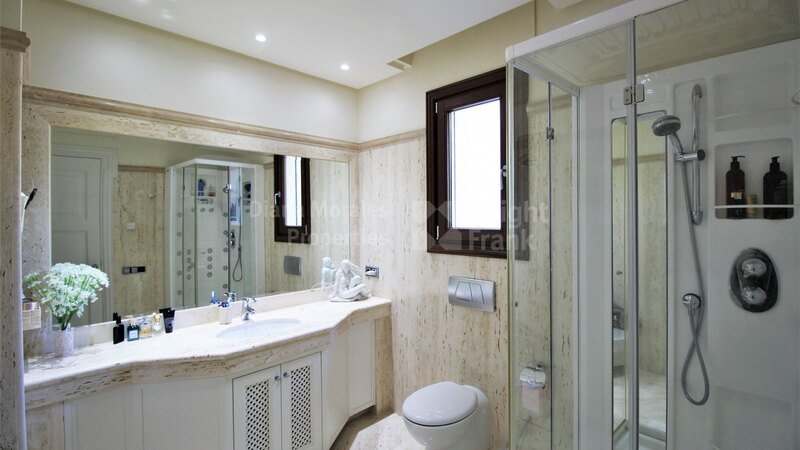 A guest toilet with a shower completes this level. 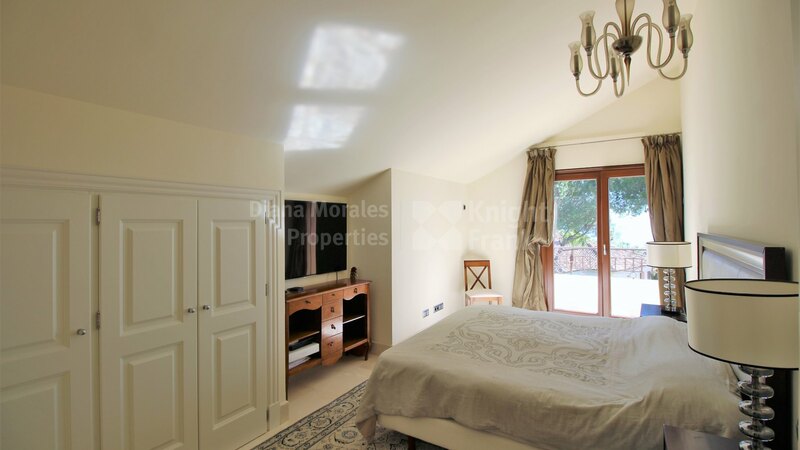 Upstairs there are two bedrooms sharing a terrace, one with a separate shower room, the other with a full bathroom en suite. 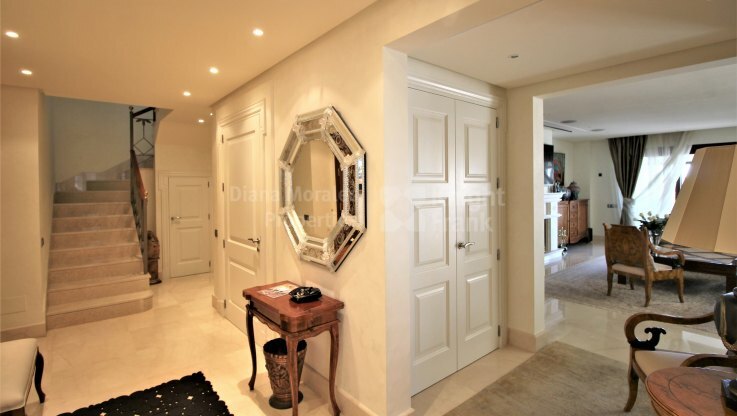 3 large garages with 3 storages, under floor heating and air conditioning throughout, piped music system, electric shutters, a safe, a video entry phone and aluminium triple glazed windows provide further delights. 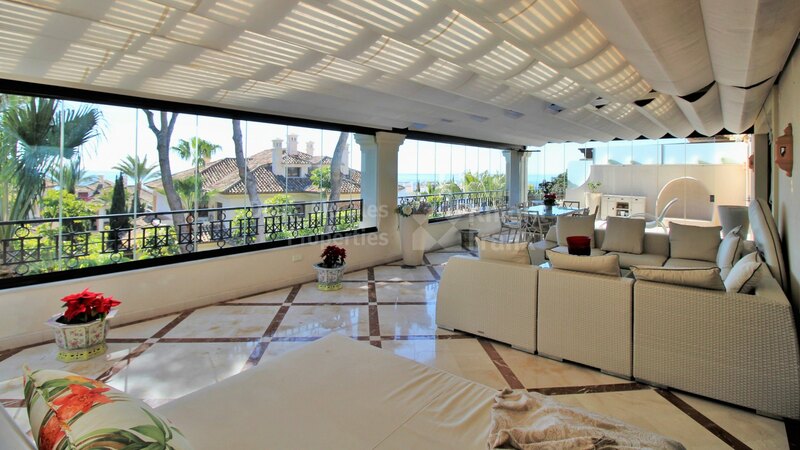 Los Monteros is an icon of luxury living in Marbella – one of the best addresses in the area, whose exclusive beachside villas contribute to Marbella´s reputation as a glamorous resort and lifestyle destination.